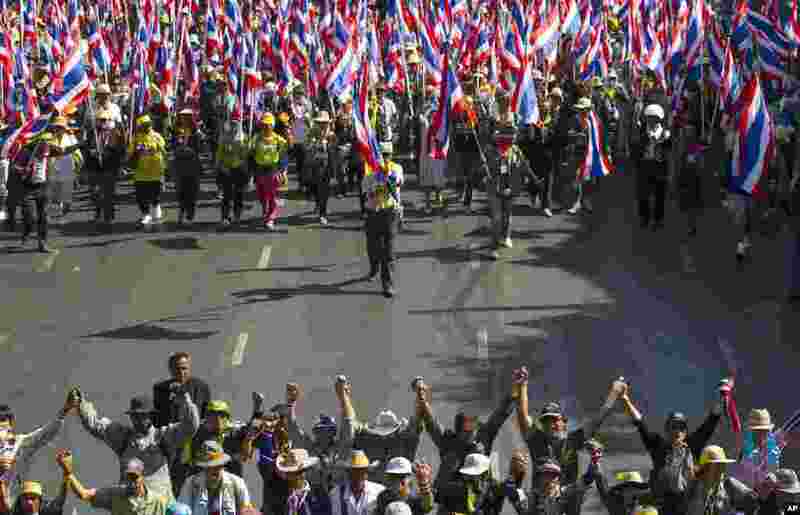 1 Anti-government protesters march during a rally in Bangkok, Jan. 15, 2014. 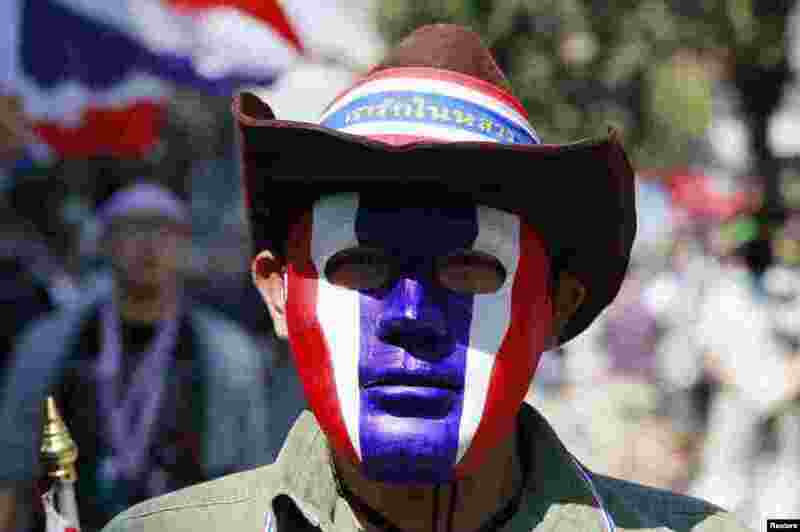 2 An anti-government protester wears a mask during a rally in central Bangkok, Jan. 15, 2014. 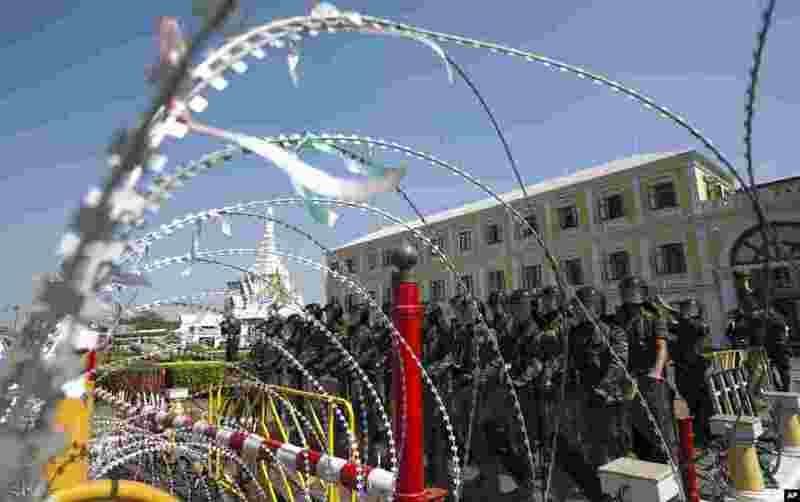 3 Soldiers stand guard inside the Thai Defense Ministry in Bangkok, Jan. 15, 2014. 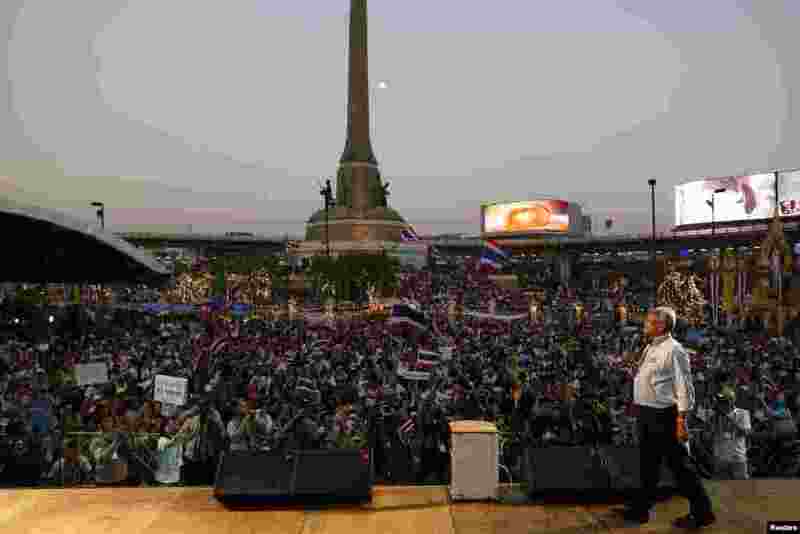 4 Protest leader Suthep Thaugsuban addresses anti-government protesters occupying a major intersection in central Bangkok, Jan. 14, 2014. 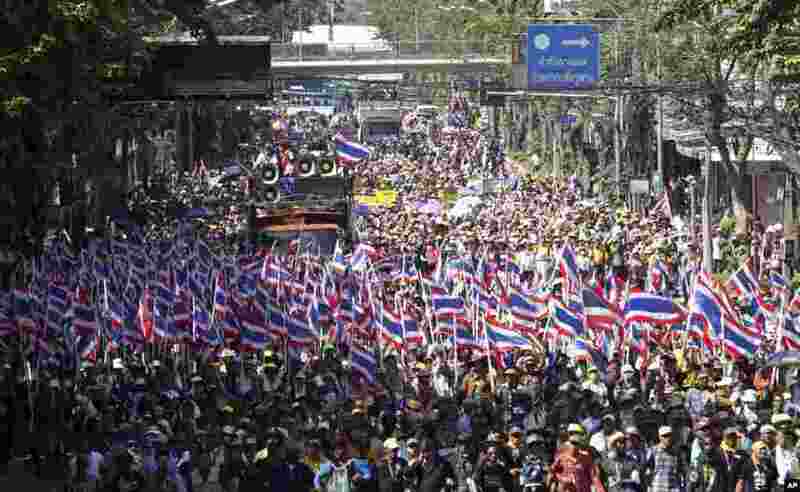 5 Anti-government protesters with national flags gather for a rally in Bangkok, Jan. 14, 2014. 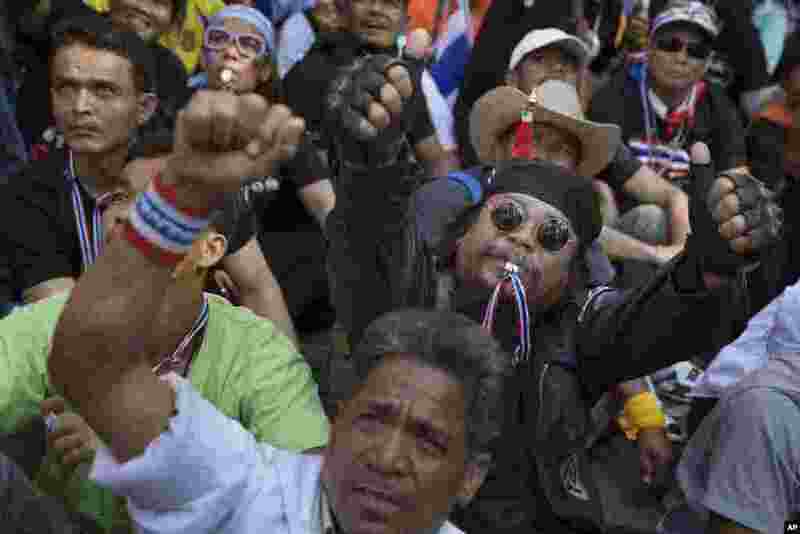 6 Anti-government protesters with national flags gather for a rally at Asok intersection in Bangkok, Jan. 14, 2014. 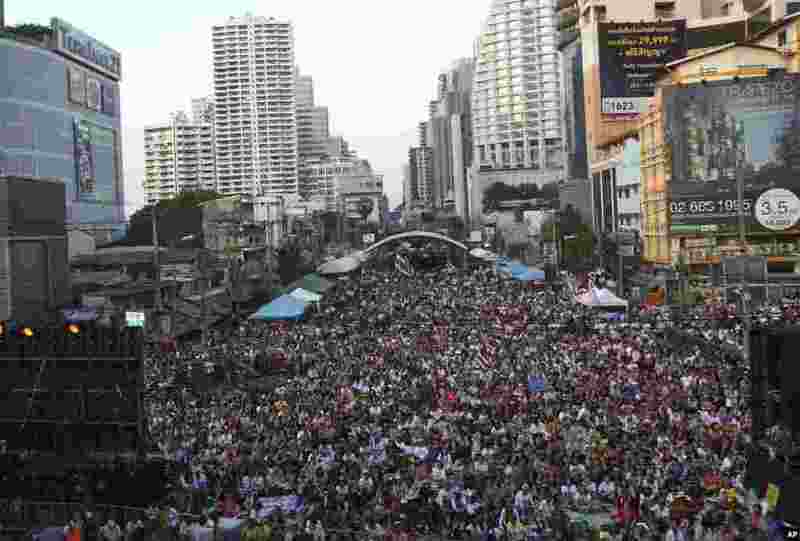 7 Anti-government protestors participate in a sit-in outside the Royal Thai Police headquarters in Bangkok, Jan. 14, 2014. 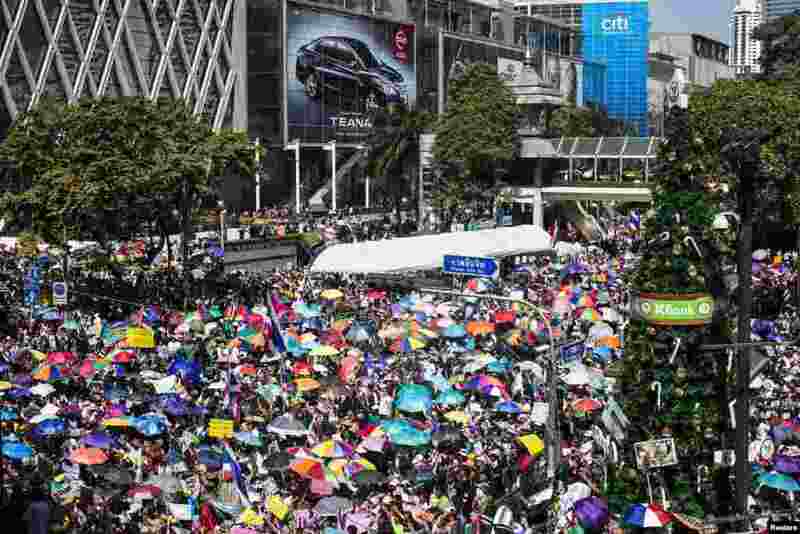 8 Anti-government protesters gather outside the Central World mall in the shopping district in central Bangkok, Jan. 13, 2014. 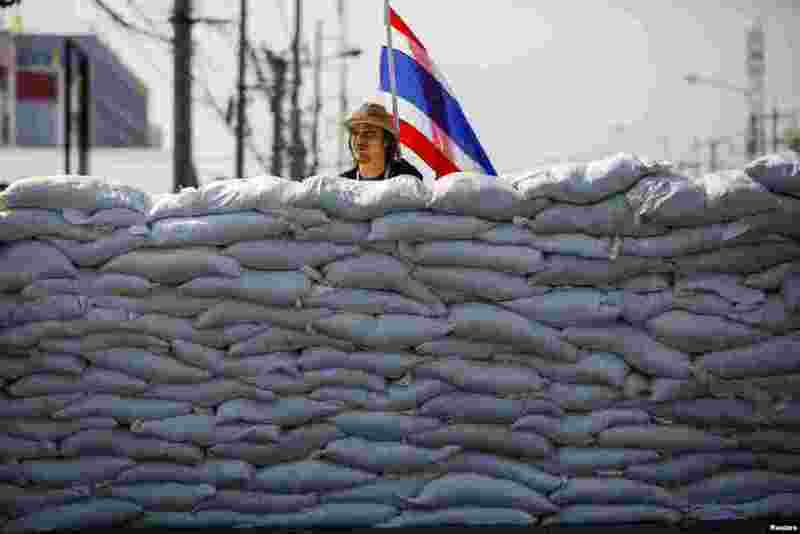 9 An anti-government protester stands behind a barricade in a major intersection in central Bangkok, Jan. 13, 2014.